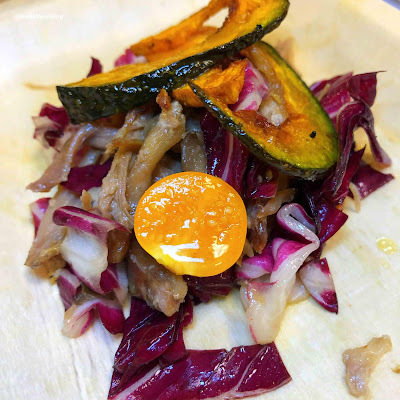 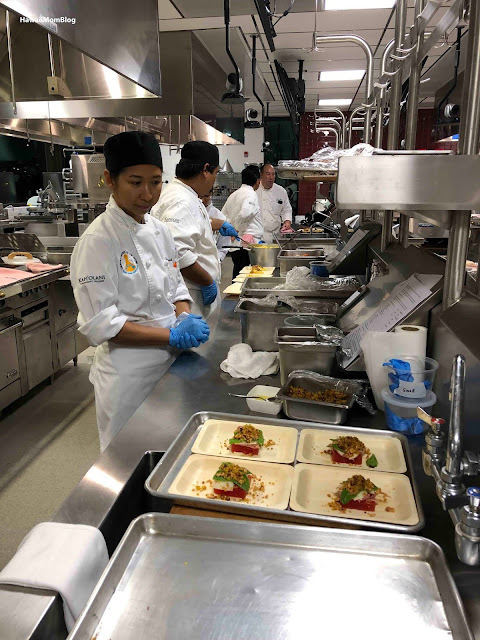 I was fortunate to have been invited to the first of the Culinary Institute of the Pacific's Ignite Dinner and Conversation Series, which kicked off with Chef Edward Lee. 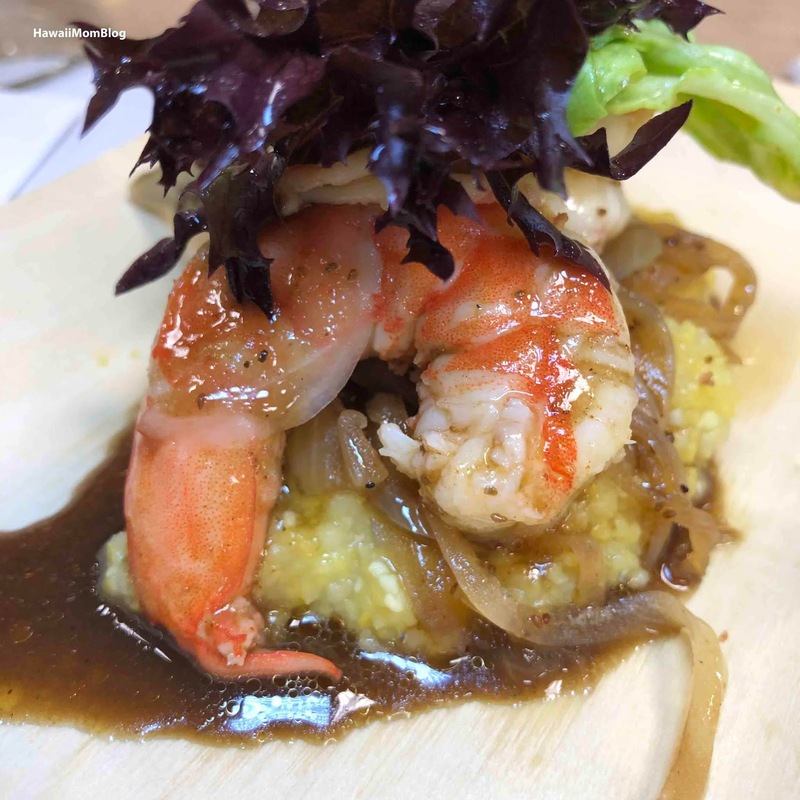 The series, which is made possible by the Guslander scholarship, helps to celebrate Hawaii's culinary scene. 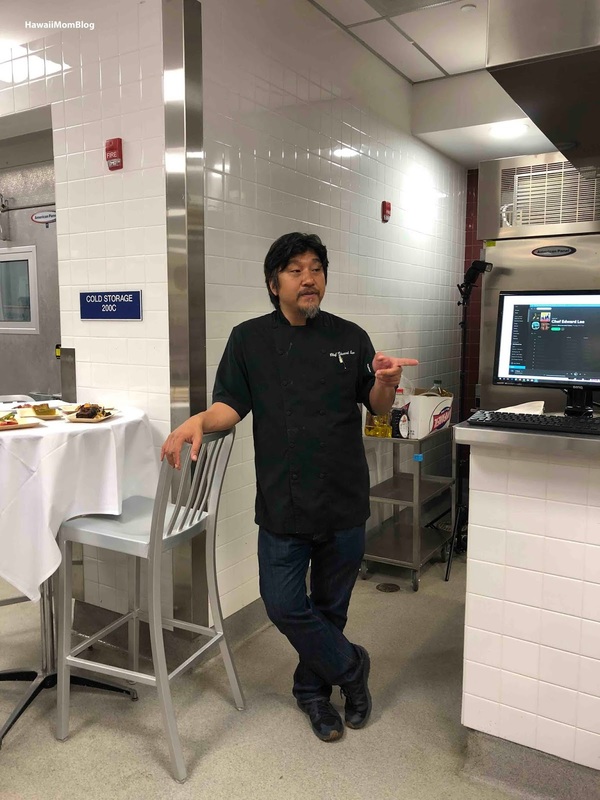 Chef Lee, who hails originally from Brooklyn, is the successful chef and restaurateur of Succotash in Washington D.C. and 610 Magnolia, Milk Wood and Whiskey Dry in Louisville, Kentucky. Renowned for his signature haute cuisine - a dynamic blend of Asian and Southern ingredients that artfully intersect....He has received multiple finalist nominations for the James Beard Foundation Awards for Best Chef: Southeast. 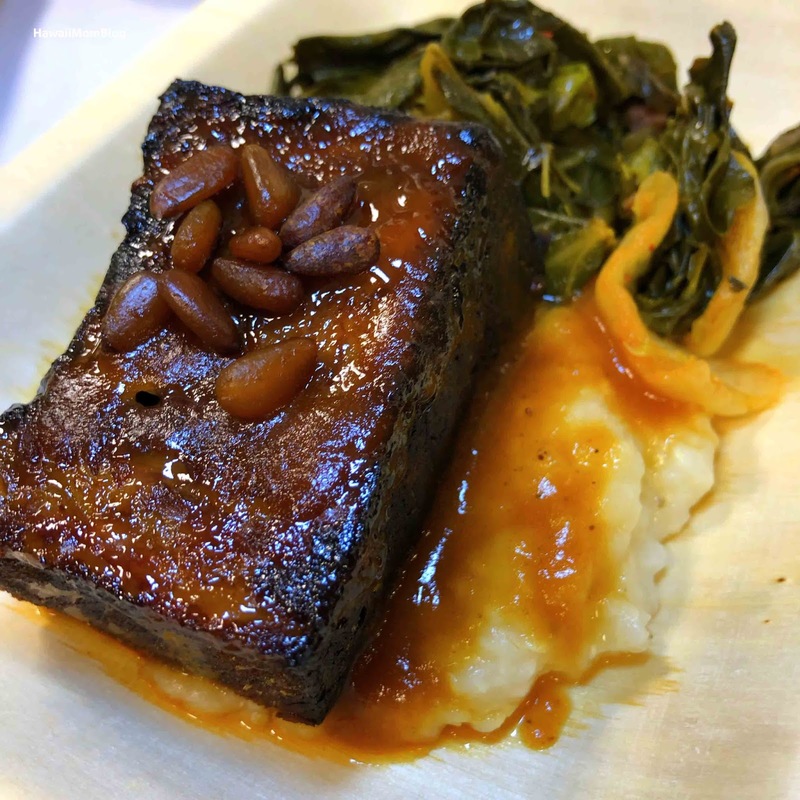 When not in the kitchen, Lee can be seen on the the Emmy Award-winning PBS series Mind of Chef. 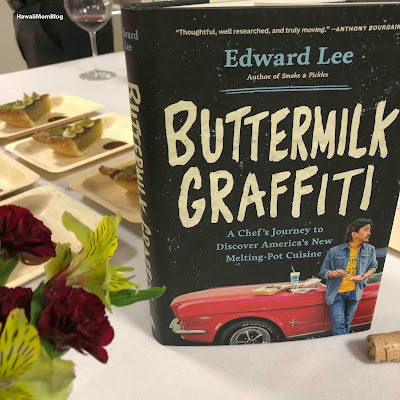 He’s also the author of Smoke & Pickles: Recipes and Stories from a New Southern Kitchen and Buttermilk Graffiti: A Chef’s Journey to Discover America’s New Melting Pot Cuisine. Over the summer I went to one of Chef Edward Lee's restaurants, Succotash, and I really enjoyed his take on Southern food, so I was excited to meet him in person. 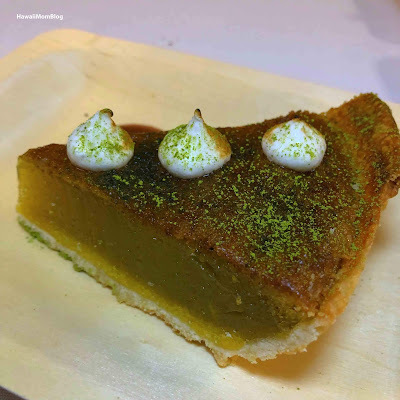 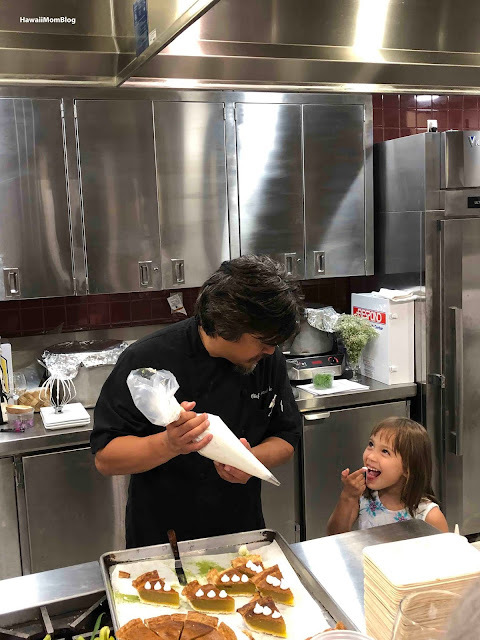 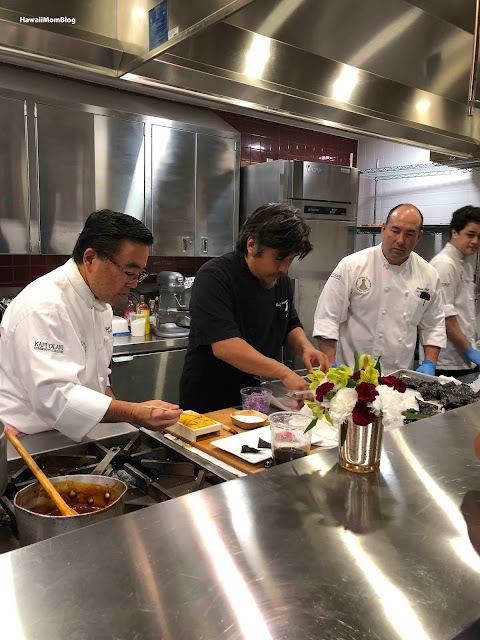 At the event, Chef Edward Lee presented a five-course meal, as the Culinary Institute of the Pacific executed all of his recipes. 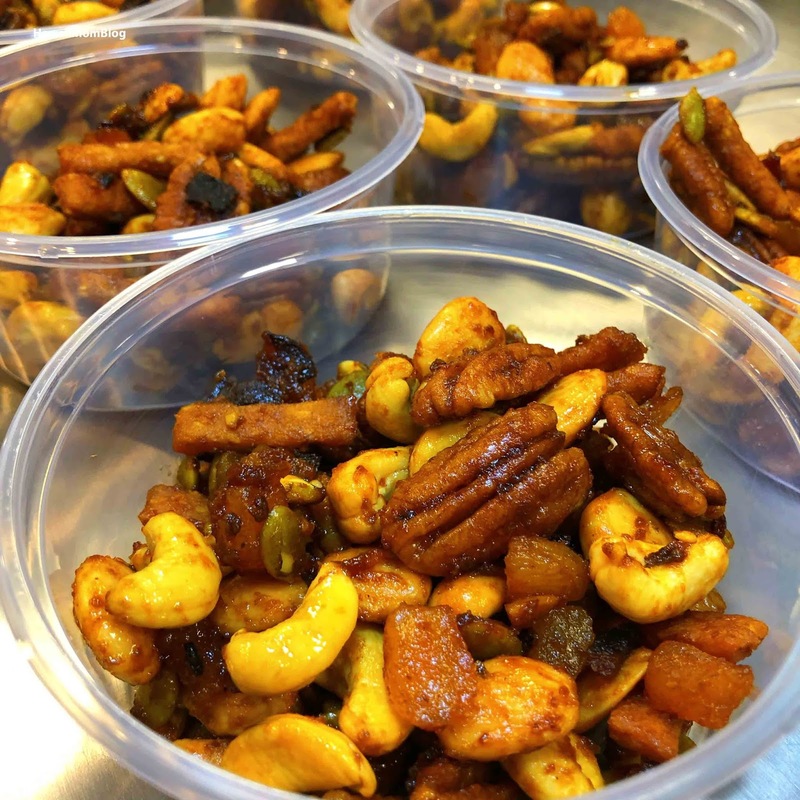 At the end of the evening, all guests were given Chef Edward Lee's BBQ Trail Mix & recipe to take home! 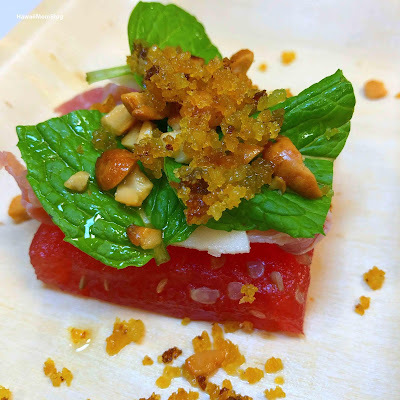 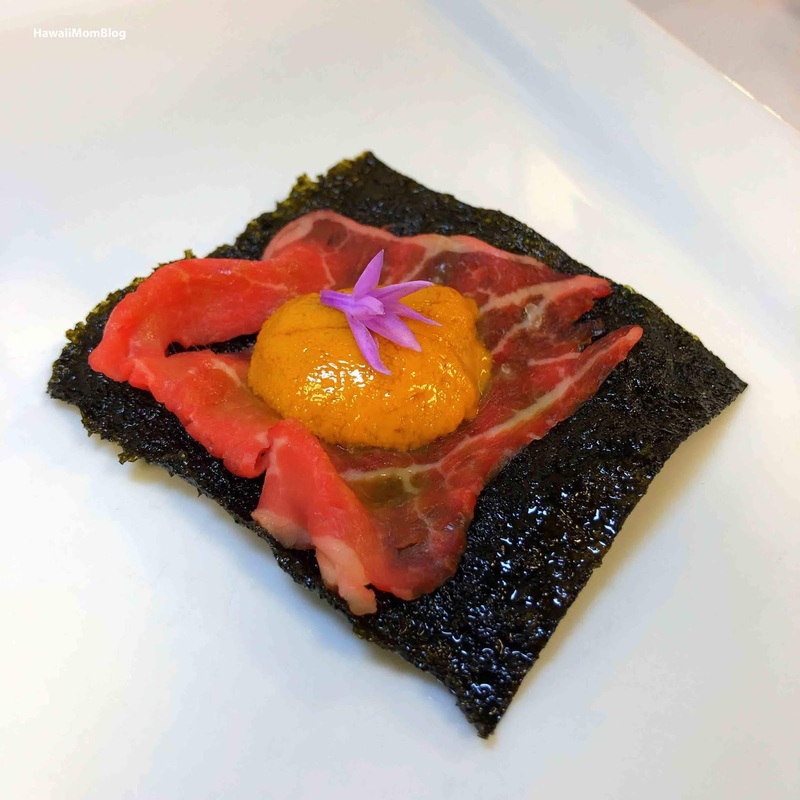 Everyone raved about the Nori Cracker Amuse, and amongst our table, the faves of the night were the Smoked & Braised Beef Short Ribs and the Compressed Watermelon. We also really liked the Grits with Red-eye Gravy. 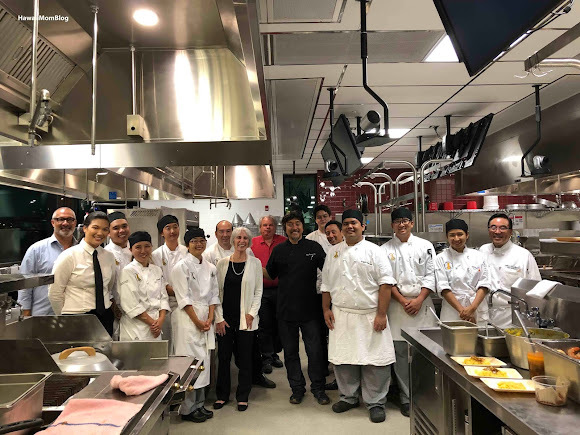 What a great experience for the guests, as well as the students and the culinary program, to be able to spend the evening with the world-renowned Chef Edward Lee. I can't wait to see who else will be in the line-up for the Culinary Institute of the Pacific's Ignite Dinner and Conversation Series!